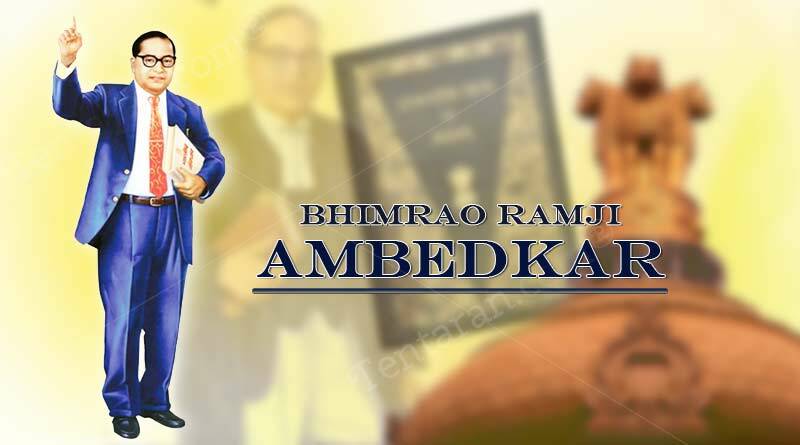 Bhimrao Ramji Ambedkar popularly known as Babasaheb Ambedkar, born on 14 April 1891 was a social reformer and a leader who dedicated his life in eliminating social inequality in India. He was the architect of the Constitution of India and India’s first law and justice minister after independence. He was 14th and last child of Bhimabai Sakpal and Ramji Maloji Sakpal, an army officer. His family was from Ambadawe, a town in Ratnagiri district, Maharashtra. He went to a government school where children from lower castes, regarded as untouchables, and given little attention and were not allowed to sit inside the classroom. Babasaheb’s family moved to Satara in Maharashtra in 1897. And on the same year his mother passed away. In 1906, he married Ramabai when he was 15 and Ramabai was only nine years old. After his marriage, he continued his academic career and by 1912, he obtained his degree in economics and political science from Bombay University. In 1935, Ambedkar was appointed as principal of the Government Law College in Bombay. Ambedkar’s wife Ramabai died after a long illness in 1935. After completing the draft of India’s constitution in 1940s, he suffered from lack of sleep and had neuropathic pain in his legs. He went to Bombay for treatment where he met Dr. Sharada Kabir. He married her on 15 April 1948 and she adopted the name Savita Ambedkar and cared for his husband. Babasaheb resigned in 1951, disappointed at his lack of influence in the government. In October 1956, he renounced Hinduism and became a Buddhist, together with about 200,000 fellow Dalits, at a ceremony in Nagpur. Ambedkar suffered from diabetes and was bed-ridden from June to October in 1954 due to medication side-effects. His health worsened during 1955. Three days after completing his final manuscript The Buddha and His Dhamma, he died in his sleep on 6 December 1956 in Delhi. He was the man who made us a nation of equals and was often called Babasaheb, meaning “respected father” in Marathi and Hindi. For more articles like ‘Bhimrao Ramji Ambedkar’, do follow us on Facebook, Twitter, and Instagram.